Say what you like about Rotten Tomatoes—whether you fall on the “It’s a useful aggregating tool” or the “It’s destroying Hollywood” sides of the current arguments surrounding it—it’s unarguably a beautiful monument to the power of human divisiveness. Out of all the films ever rated by the site, only three have ever scored a perfect 100 percent “fresh” rating, indicating that every single professional critic who watched them agrees that they’re at least vaguely worth seeing. Now, we can make that number four, with the recent Paddington 2 taking its furry, marmalade-slathered spot atop the Rotten Tomatoes throne. 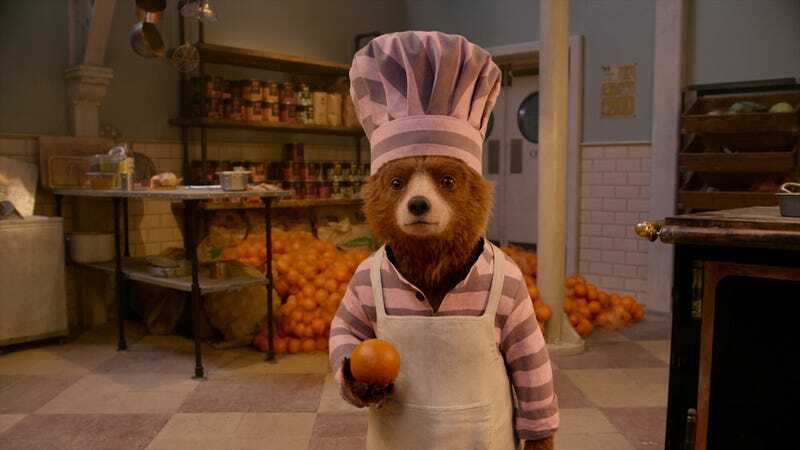 This is per Uproxx, which notes that, out of 152 reviewers who’ve taken a look at Paul King’s fuzzy sequel—including our own Ignatiy Vishnevetsky, who praised the film’s kid-and-adult-friendly charms and awarded it a B—not a single one has had a cruel word to say about the friendly little bear. Paddington 2 thus joins Toy Story 2, the tightrope documentary Man On Wire, and 2016's Things To Come in the club of films with perfect Rotten Tomatoes scores. (Greta Gerwig’s Lady Bird was on there, too, recently, until some sourpuss decided to give the film a lightly damning C+.) That’s a pretty happy ending for a film that was living in danger of getting pulled down with the entire Weinstein Company scandal; the film was originally intended to be partially distributed by the embattled studio, but was ultimately handed off to Warner Bros.